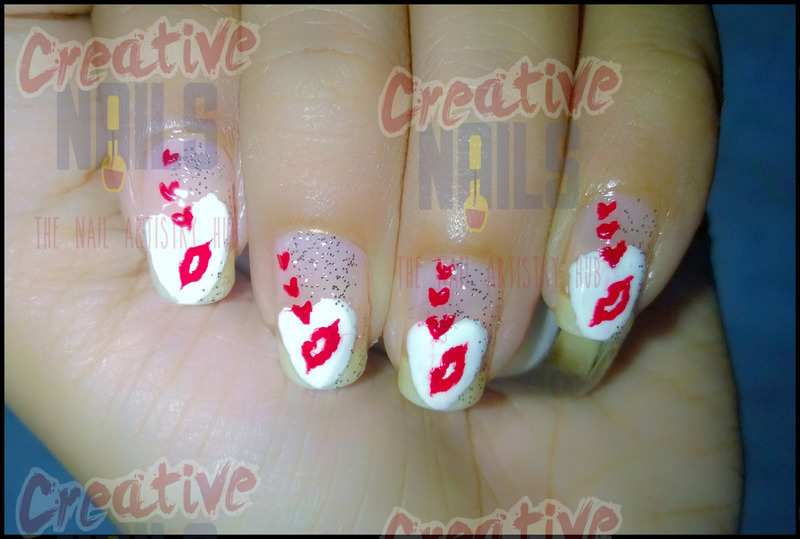 Kiss Day Special Nail Art! Hey friends! Today is KISSING DAY. There are lot of benefits of KISSing your partner: 1. Reduce Your Blood Pressure 2. Relieve Cramps and Headaches 3. Fight Cavities 4. Release Your Happy Hormones 5. Burn Calories 6. Boost Your Self-Esteem 7. Tone Your Facial Muscles 8. Check Out Your Partner’s Compatibility Creative nails is celebrating this day in its very own way. Hope you get a chance to KISS your partner today. Happy KISSSSSSING!! ← Valentine Special Nail Design!